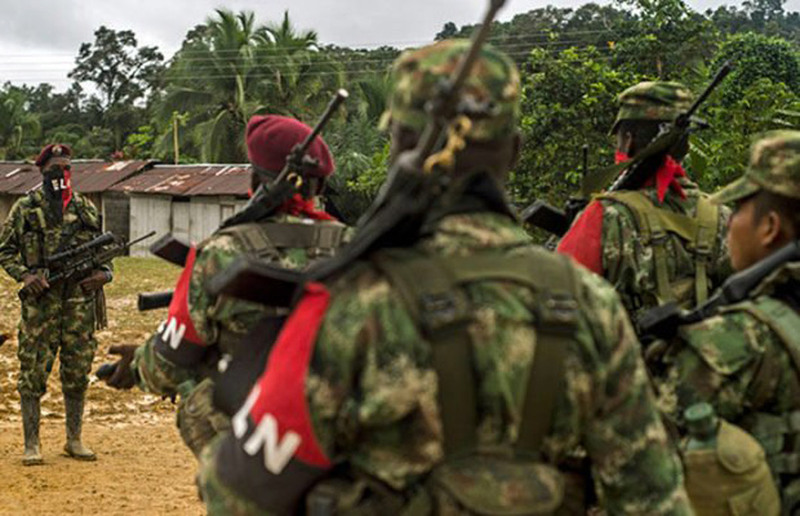 According to reports, five were injured after ELN guerrillas attacked buses and trucks in the César department of Colombia in the early hours of Saturday morning. Passengers were forced off a bus near Curumaní where several vehicles were set alight. In a separate incident, passengers in Aguachica were ordered to disembark before guerrillas dressed as ELN soldiers set fire to the bus. The ministry of defense confirmed the attacks as well as an explosion that damaged the Quebrada Seca on the same road. Ecopetrol has taken emergency measures following an attack on its Caño Limón-Coveñas pipeline in ​​Toledo, Norte de Santander, also on Saturday. According to El Tiempo, this makes 79 pipeline attacks this year, 64 of them in Norte de Santander. The violence follows an incident last week in which violence by alleged ELN guerrillas killed four Venezuelan soldiers and injured 10 in the Amazonas department that borders Colombia. President Duque, upon arriving in Paris to participate in the Paris Peace Forum, reiterated his hardline stance against the rebels. He said that the government will not be “blackmailed” and committed to using the full force of the state against the ELN. “If they want to persist in this escalation of attacks on infrastructure, of intimidation, of kidnappings, the only thing they will receive from the state is all the offensive capacity we have to dissuade them and take them to the judiciary to answer for their crimes,” he said. The stop-start peace talks came to an ‘official’ halt on September 19, when Miguel Ceballos, Commissioner for Peace confirmed that the talks which had started under Santos had run their course.